Being such a unique and special crystal, we felt that Moldavite deserved its own catalogue; and below you will find a gorgeous collection of the some of the best specimens. From rough (natural, unpolished) pieces to ones set in 925 sterling silver jewellery - featuring both natural and faceted items. 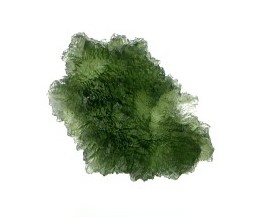 All are GENUINE Moldavite specimens from the banks of the Moldau River in Czechoslovakia and all are one-offs - you will receive the EXACT one pictured, and as with our other crystal goodies, every piece is cleansed & blessed before despatch, and will come in a gift box.